We are the leading wedding limo service in New York City! Weddings are once in the life time experience. 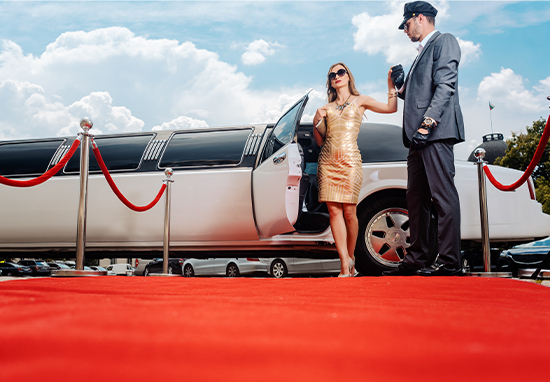 At Riverside Car and Limo service, we make sure your day is as amazing as you want it to be. Our experts make sure that with our New York Wedding Limousines, the day that you have spent months planning is treated with same care and love. You can be assured that by booking your car service with us, you are making right choice. With Riverside car and limo service, make your wedding transportation a highlight of your special day. You can arrive at your wedding location in style with our stunning armada of Wedding Limos NYC vehicles. Our armada is the safest, most luxurious, and best way to arrive at your wedding venues hands down. Want to see our collection of NYC Wedding Limos? Call us today! Riverside Car and Limo Service adds extravagance and style than average wedding limousines in NYC. We will transport your welcomed guests to your wedding venue, enabling them to drink and move without the worries of security or driving home late night. You will appreciate absolute peace of mind, realizing that expert chauffeurs are tending to the transportation needs of all of your friends and family. We make sure that transportation is done at an affordable cost so that it doesn’t make hole in your pocket. Book our wedding limo rentals to cater to your guests on your big day. We welcome you to choose from our splendidly clean and radiantly maintained wedding limousines in NYC. Spotless all around, the lavish inside will surpass all of your desires. Imagine your fantasy wedding, and talk to one of our specialists about our absolute best NY Wedding Limousines Service Packages, allow us to satisfy all of your needs and guarantee you the best transportation for your special events.